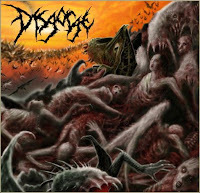 Followers - " Support All Extreme Musick"
Disgorge is a brutal death metal band from USA. In 1992 Bryan Ugartechea, Tony Freithoffer and Ricky Myers started what was to become one of California’s most brutal deathgrind bands. In 1992 they released their first demo “Cognitive lust of Mutilation”. Shortly after, Disgorge relocated to San Diego California to establish their name in the underground scene. During the move the band parted ways with bassist/vocalist Bryan Ugartechea. Immediately, new members Matti Way (vocals) and Eric Flesy (bass) filled Brian’s position. 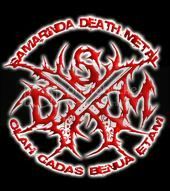 The band quickly wrote new material for their second demo “95 demo”, which was distributed worldwide and received great reviews. Disgorge played many shows throughout 1995 to broaden their fan base. 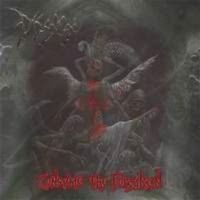 In 1996 Disgorge recorded the first four tracks of “Cranial Impalement” ( CD released by Extremities Prod. ) which wasn’t released until recently. In 1997 Tony Freithoffer and Eric Flesy left the band to pursue other things. Ricky and Matti began looking for new members, which weren’t found until late 1998. 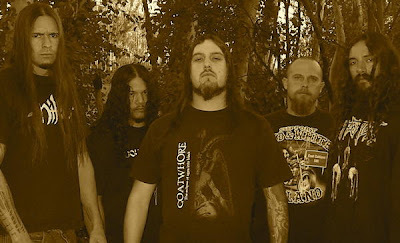 Diego Sanchez (guitar) and Ben Marlin (bass) of Strangulation (a local death metal band) decided to join the band then signed with Unique Leader Entertainment, shortly after they released their full-length album entitled “She Lay Gutted” in November of ‘99. Since the release of She lay Gutted Disgorge has toured worldwide in Europe, North America and South America. They recorded their worldwide distributed third album entitled “Consume the Forsaken” with a new vocalist, A.J. Magana, who replaced Matti Way in 2001. Disgorge has always set out to play the most extreme music possible and on all three albums they have stayed true to their ways. On their fourth album entitled “Parallels of Infinite Torture” featuring new front man Levi Fuselier & guitarist Ed Talorda they have pushed their limits even farther. With many World Wide tours in the works Disgorge have tortured Japan, Australia, New Zealand, Thailand, Mexico, and Indonesia in support of the new release. Also many more tours are to come while the band plan on wrinting new material for a next album.